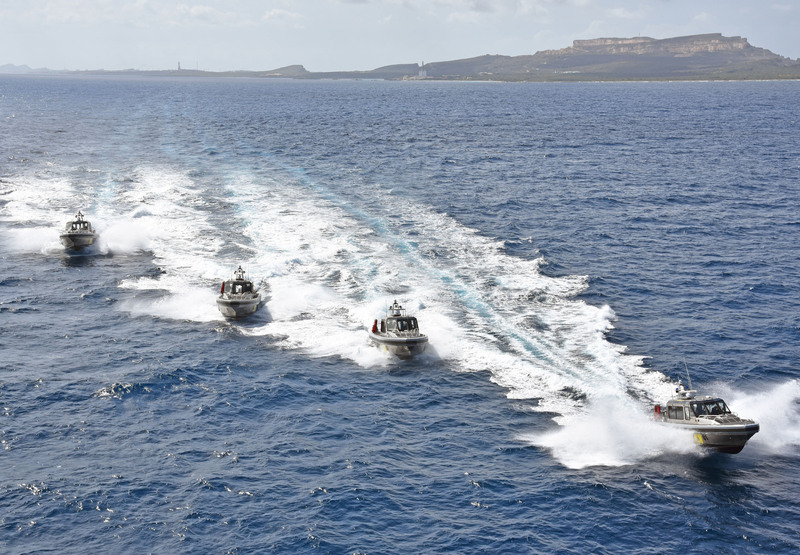 Jeanerette, LA – May 10, 2018: Four new high speed patrol boats manufactured by Louisiana, USA-based shipbuilder Metal Shark for the Dutch Caribbean Coast Guard (DCCG) have been commissioned on the island of Curacao. A fully-enclosed pilothouse shields the crew from the elements, while Metal Shark’s signature “Pillarless Glass” pilothouse arrangement assures unimpeded visibility, day or night. Specially engineered composite armor panels provide ballistic crew protection from unfriendly fire. Shockwave Corbin shock-mitigating seating has been provided for a crew of six, and anti-fatigue floor covering has been employed in the pilothouse and the belowdecks crew spaces. A urethane-sheathed, closed-cell foam Wing collar provides durable and resilient fendering. 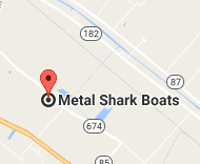 For extended patrols at sea, accommodations include an enclosed head compartment, galley, and v-berth.